Pfc. Finis E. Harelston, son of Mrs. B. E. Harelston, graduated from Frederick High School. 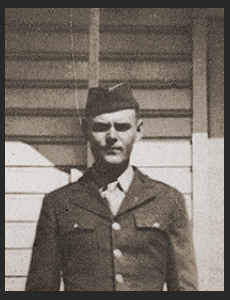 Entered Army in June, 1942, trained in Camp Rucker, Ala, and Camp Beale, Cal. Served in S. Pacific and Polo islands; was killed in action on Polo Island in Oct., 1944. Awarded Asiatic Pacific Ribbon with two Battle Stars, the Purple Heart, Good Conduct Medal.